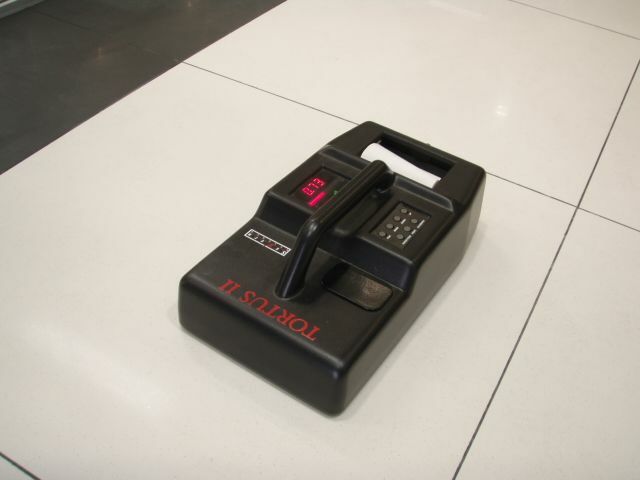 While there are 2 rubber slider materials that may be used, Four S (simulated standard shoe sole) is generally accepted as the material to assess the slip resistance for the general public wearing suitable footwear. TRL (Transport Research Laboratory) rubber is predominantly used for highly slip resistant and profiled surfaces. Research has indicated that TRL rubber may provide a better indication of barefoot slip resistance due to the softer yielding nature of the material, being more comparable to human skin than Four S rubber. 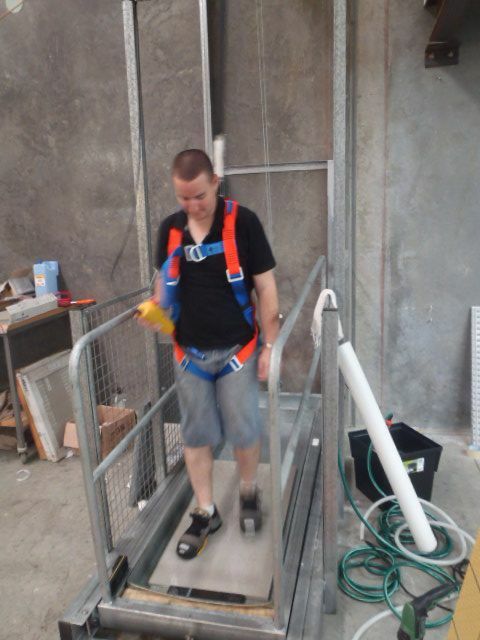 The wet barefoot ramp slip resistance test (AS/NZS 4586 Appendix C) uses a panel of the test surface which is constructed on a ramp large enough for a person to walk on. 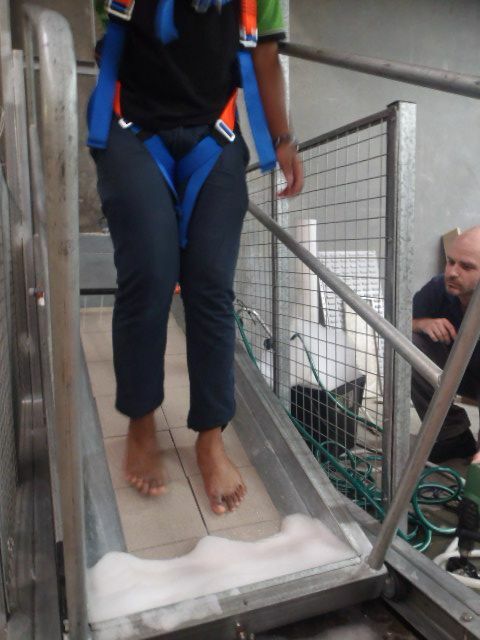 Two test people attach themselves to a safety harness, after bathing their feet for 10 minutes to soften the skin, walk bare foot on the test surface while the angle of the platform is increased until the limit of safe walking is achieved. 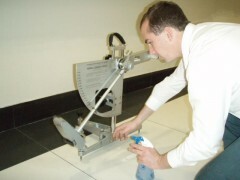 This is generally when the test walker slips or feels that they will slip on the board. The angle that the limit of safe walking is obtained is known as the mean angle of inclination. Three calibration boards A, B & C are also tested, with the classification of the test panel based on the mean angle of inclination obtained in comparison with the calibration boards. The oil wet ramp slip resistance test (AS/NZS 4586 Appendix D) differs to the wet barefoot ramp test, in that instead of water, an amount of motor oil is placed on the test surface and the two test persons wear safety boots rather than barefoot. 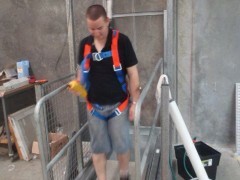 Three calibration boards are walked on in a similar manner to the wet barefoot ramp test. These calibration boards are then used to provide a correction factor to standardise the walkers. Studies have shown that the correction factor reduces variance to 2.2 degrees (95% confidence interval). The slip resistance test classification is determined by the mean angle of inclination achieved and a correction factor based on the angle of inclination of the 3 calibration panels.